I have decided, mostly for our own entertainment but hopefully for yours too, that we are going to keep a record of some of our little princess’ witticisms. They are little gems of innocence with sparkles of cheekiness that make us laugh all, even when we remember about them after a long time! 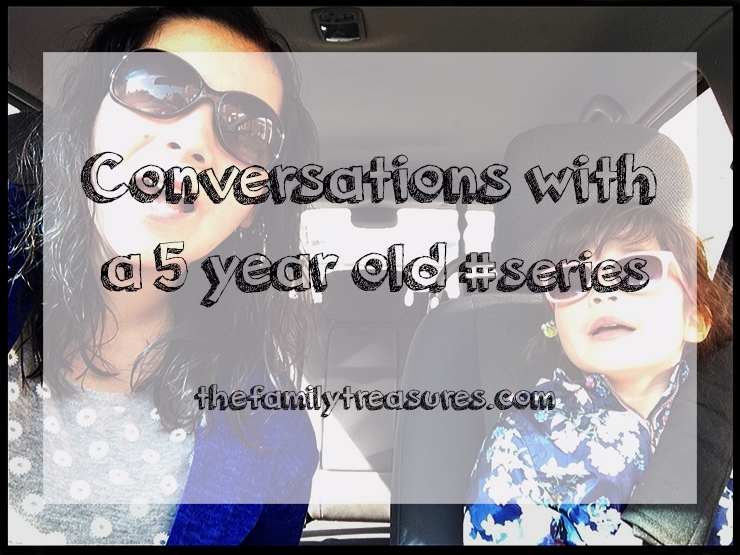 I don’t know how long I will run this series for, but I’ll post once a month our latest conversations with our 5 year old. – Are you in my class, aren’t you? -Yeah… I think so! She says to the boy. Then the boy starts hoping all happy, yelling ‘J, that’s J! ‘and gets all excited… J laughs and we continue our walk to the school gate. I had to hold myself from laughing to be honest! Kids are kids, and their conversations sometimes are just #mindblowing! We are at the dinner table having our supper, it’s just her and I, and E, but he only says “bla bla” at the moment, so not too much interaction with that. I ask her about school and activities..
-J, are you practising something nice at school? Like a dance or something for the parents? – Maybe you’re practising something but it’s a surprise for mummies and daddies?! jajajaj….ay q vr nuestros grandes grandes pequeños genios!!!! me encanto!!! y me he reido un monton!!! I find it funny talking to little ones about school, they never seem to remember what they have done during the day yet come bath time they are happy to tell you everything. The conversation makes my stomach ache. Can’t help to laugh everytime they talk.